The Soft-Lite Pro window is a good vinyl option, it was the company's original top-of-the-line product (it is also sometimes referred to as the classic model). Over time, Soft-Lite has spent lots of R and D money to develop the superior Soft-Lite Elements and Imperial LS window models. The Pro will typically have less distribution than these two window models because it is older and lacks the "new kid on the block" status. The bottom line is that the Pro is not as good as the Imperial LS or the Elements, but it is a solid mid range vinyl window that is a good buy, given a competitive price point. Standard features include a metal reinforced meeting rail, quality delta locks, vent locks, a super spacer, locking exterior screen latch, foam fills in the frame, and a fusion welded beveled vinyl frame. The Pro can be ordered with clear glass, low-e glass or the premium Solarban SB-70 glass. Consumers can choose from three interior frame colors (white, beige and brown) and five interior wood grain laminates (maple, Brazilian cherry, cherry, medium oak, and light oak). The window also comes in 15 exterior colors, including some rather bold color choices such as Rosewood Red, Wedgewood Blue and Black. The Pro model can be ordered as a double hung, casement, slider, picture or fixed frame and awning window. Consumers can expect to pay $----- for the window itself. (We cannot list any prices, please click on the link below for more pricing information.) Comparable windows include Okna 500 window prices and Sunrise Classic window costs. The Soft-Lite Pro window with the metal reinforcement, interlock, low-e glass, no grids and argon fills will deliver a .28 U-factor, .29 SHGC, .07 AI, and .53 VT rating. 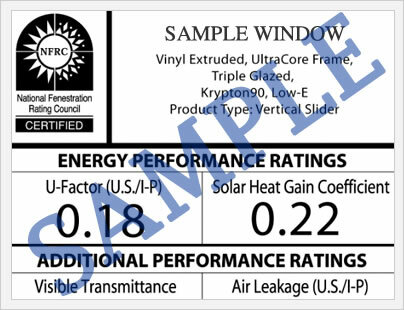 An upgrade to the Solarban glass will improve these numbers to .21 U-factor, .19 SHGC, .05 AI and .39 VT rating. All of these numbers (except for the air infiltration) come from the nfrc.org website, which lists hundreds of different window models and series performance numbers. The Soft-Lite Pro window comes with a lifetime warranty that applies to the vinyl frame and sash. There is a 10 year warranty period on PVC coatings (exterior and interior finishes or colors), internal mini blinds, and exterior foil laminates. The warranty is transferrable. It is a one time transfer and the new owner must complete an online transfer card and pay the transfer free to the company. 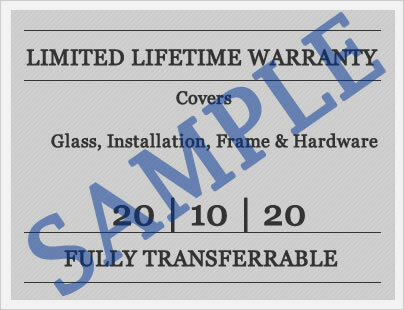 As always, there are a number of exclusions and limitations to the warranty so make sure to take a look at their one page warranty prior to purchase. Do you have a Soft-Lite Pro window review to share with other consumers? Submit your reviews and let others benefit from your past experience. Questions on the Soft-Lite Pro window? Ask your questions here and get expert advise and incite that can help your buying experience get you the best deal around. I'm in Virgina Beach and need to replace. All the quotes below are triple pane, except for the Okna bid, which is double pane. Love to hear your thoughts. Danny, the Okna 500 Insultec is the best deal of the bunch. The Soft-Lite Pro is next in line and I'm wondering how the bids would compare if you had both for triple pane (or both for double pane). Im assuming they would be close. Even head to head though, I think I like the Okna a touch over the Soft-Lite Pro, although there are definitely industry pros who would argue this point with me. I have bids on 5 awning windows and 8 double-hungs. Mark, all three of the bids are on good windows, so that's quite a nice start right there. My pick would be the Sunrise Restorations Ultra U, followed by the Okna 800. The Soft-Lite Pro is also a good window, but the others are better in my opinion. How would you say the Vytex Fortis window does against the Soft-Lite Imperial Pro 525. Gene the Vytex Fortis and Soft-Lite Pro model are both very solid vinyl windows. I might put them on par with one another. The Soft-Lite Pro is the company's mid range window, while the Fortis is more or less Vytex's premium window. The Fortis might beat out the Pro in terms of air infiltration, but probably not by much. Soft-Lite has an excellent reputation, better by a bit than Vytex.